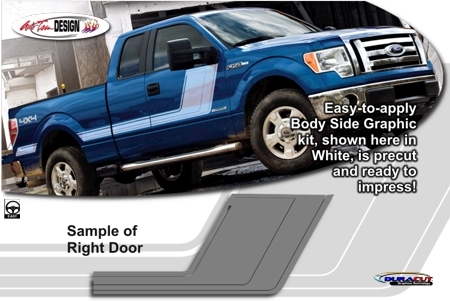 Make your '04-'14 Ford F-150's Hood stand out with this great-looking Tremor style Hood Graphic kit. Kit is PRECUT and ready to install in a wide variety of colors1 - NO TRIMMING required! 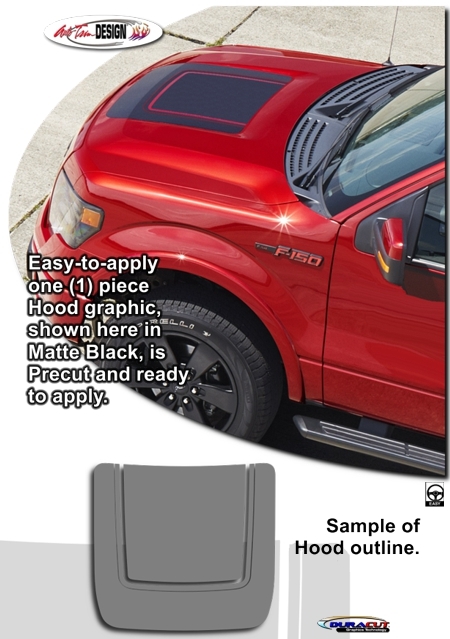 Kit is specifically made for the '04-'14 Ford F-150 factory Hood and will not fit any other vehicle. 1 Ford’s F-150 Tremor stylized graphic consists of a dot matrix pattern on a transparent film with a unique simulated carbon fiber pattern and a satin finish. Kit offered herein is manufactured with automotive grade premium cast film in solid colors - with no dot matrix or simulated carbon fiber pattern.